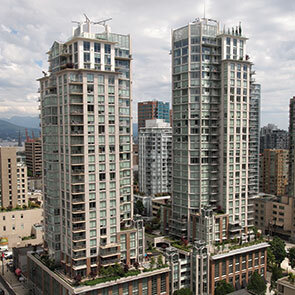 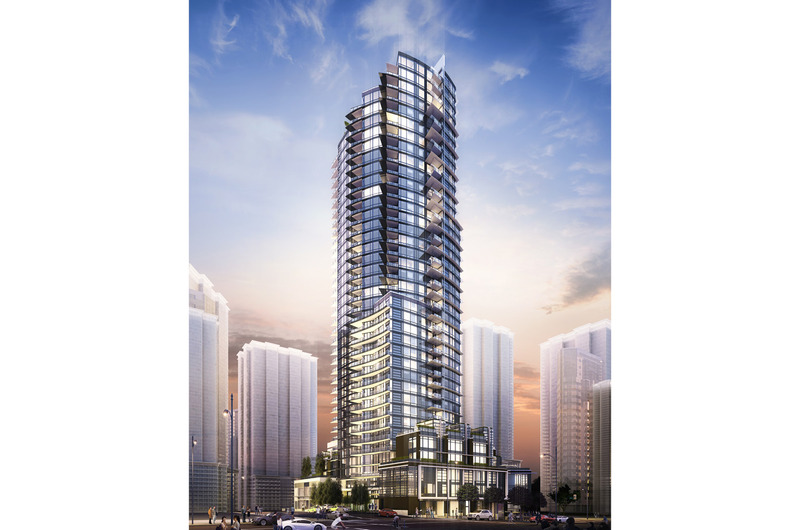 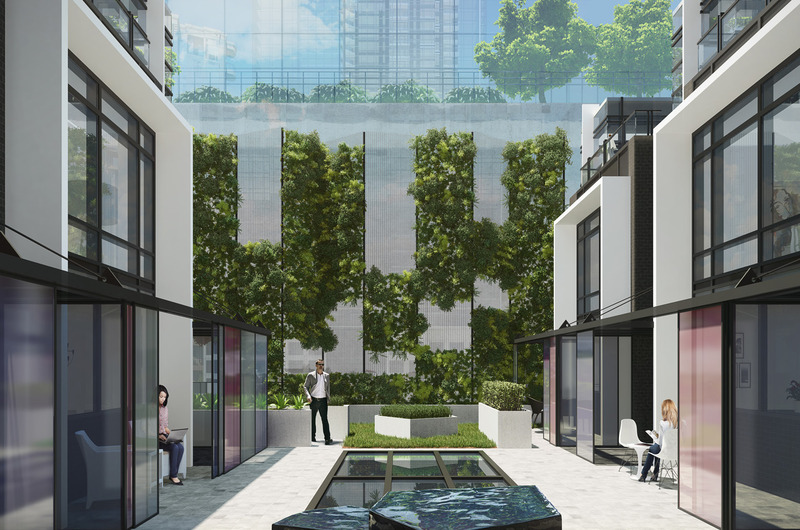 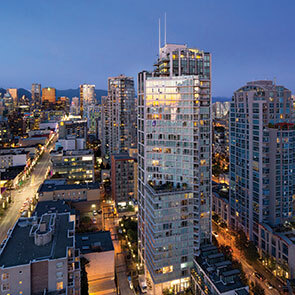 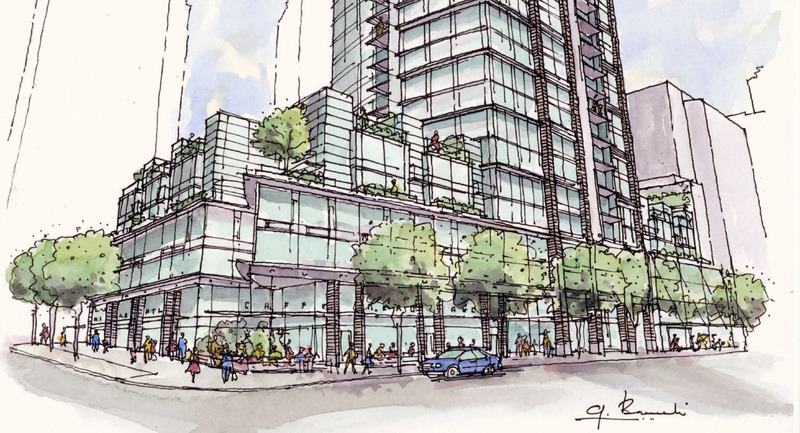 This mixed use project consists of a 43-storey tower targeting LEED® Gold certification, housing 339 residential condominium suites and 20 rental suites. 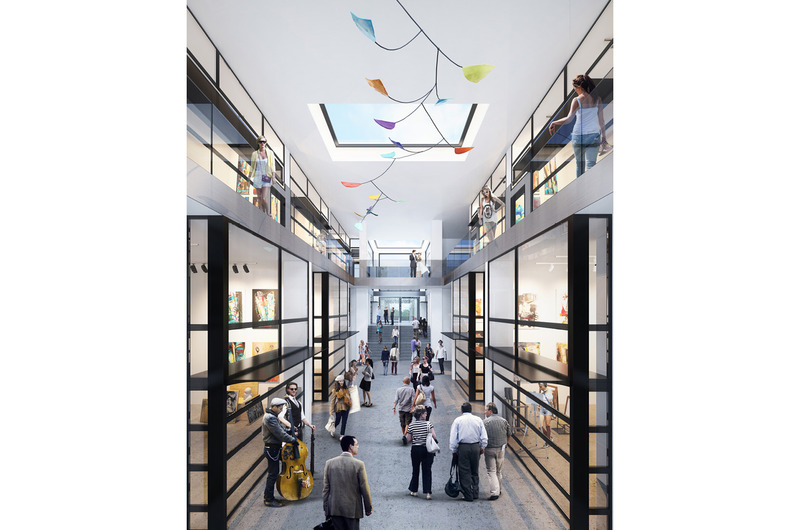 The project features 16 Artist Studios gathered around a central atrium north of the tower, dedicated as a public amenity. 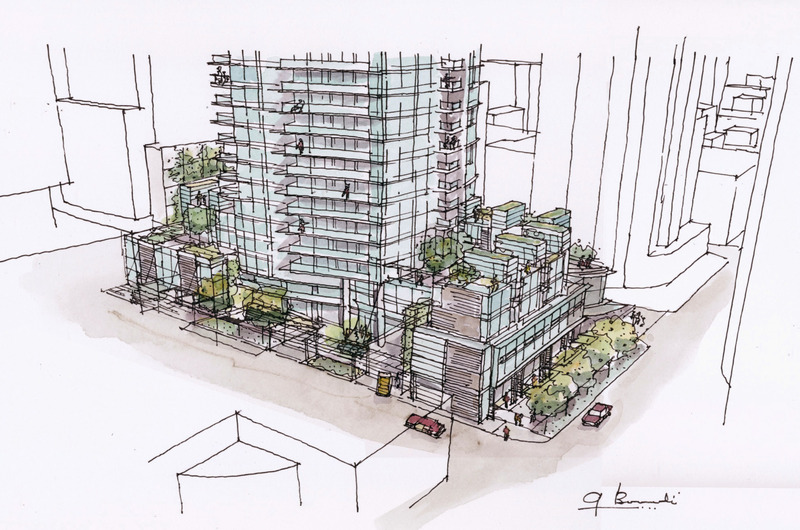 Double-height retail spaces animate the corner of Howe and Drake Streets, with townhouses and green roofs above. 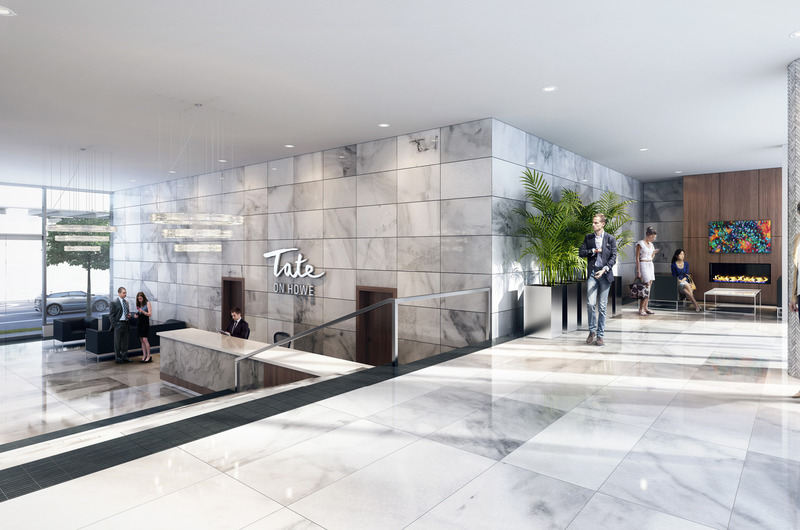 Passenger drop-off and access for all uses is from the lane, via a porte cochere. 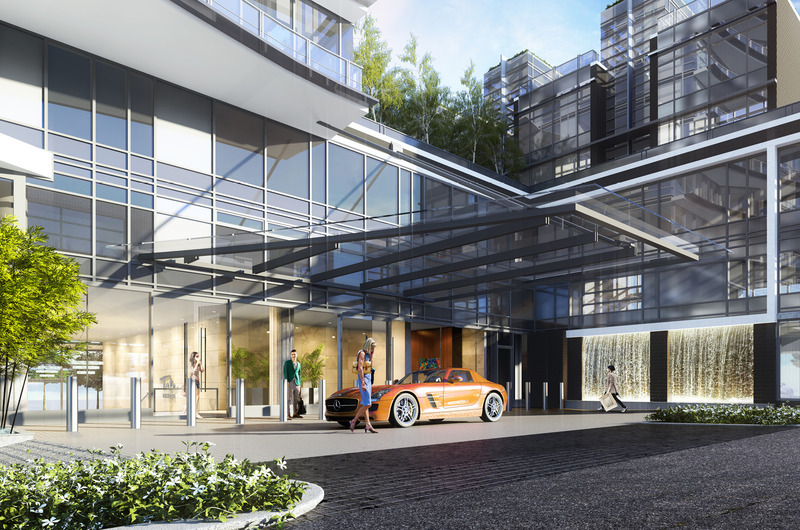 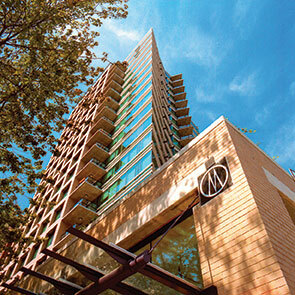 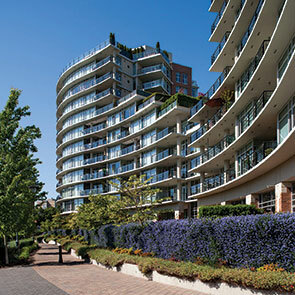 The porte cochere offers access to 5-storeys of underground parking beneath the site. 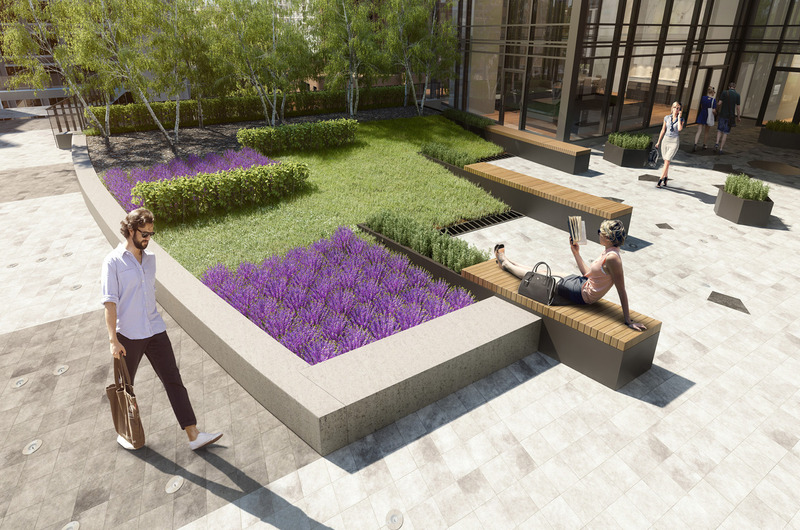 Merrick Architecture has lead this project through the Rezoning Letter of Enquiry, Rezoning, Development Permit, and Building Permit stages and now through the construction process, now completing by autumn 2018.